Do you need a repair, service or maintenance? We offer a 24-hour emergency call out services to all our customers. Costa Engineers are experienced catering equipment engineers, offering services, catering equipment repairs and maintenance of commercial catering equipment to food retail businesses throughout United Kingdoom. The company, which is located in Digbeth (Birmingham), was established in 2010 and the owner has over 30 years of experience in the Catering Engineers Services. 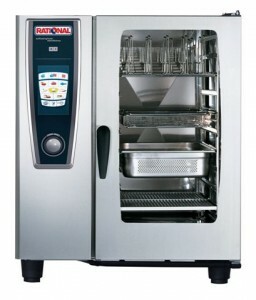 We can repair all types of equipment including Rational ovens. Samsung, Amana and Panasonic microwaves, all made kebab machines, kebab knives, Hobart and Winterhalter dishwasher, Lincat, Blue Seal fryers, conveyor pizza ovens, cookers, hot food display cabinets and Foster, Williams fridge and freezers. As well as catering equipment repairs the company also supply new and used commercial catering equipment and commercial catering spare parts. 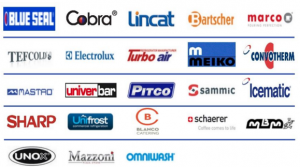 We are specialise in replacement new parts models of catering equipment including Winterhalter, Rational ovens and Hobart. The company offers catering equipment repairs, service to local businesses in the restaurant and take away industry. They offer an engineer with call out services covering the Midlands and surrounding areas and have a workshop, equipment showroom and trade counter in Digbeth (Birmingham). They repair all types of commercial catering equipment and are suppliers of new and used catering equipment and spare parts. Costa Engineers is specialise in high quality catering equipment engineering service like Rational ovens repair, Rational ovens service. We also have a commercial ware washing specialist on hand to deal with any dishwasher or glass washer service. Our bespoke paperless call-handling system has been designed to know what you and your workspace need before you do. The system keeps track of where your money is being spent, making it easy for both parties to ensure everything is kept up and running as economically as possible. Our offices are based in Birmingham. We offer extremely competitive call out and labour charges to Birmingham and the surrounding counties. Please contact us for more information on our commercial kitchen breakdown repair service. We make repairs for all catering equipment.